To each his own favourite spot: At the bar, in one of our three little gourmet rooms, in the cosy vault or on the sun terrace - your holiday has never tasted this good. 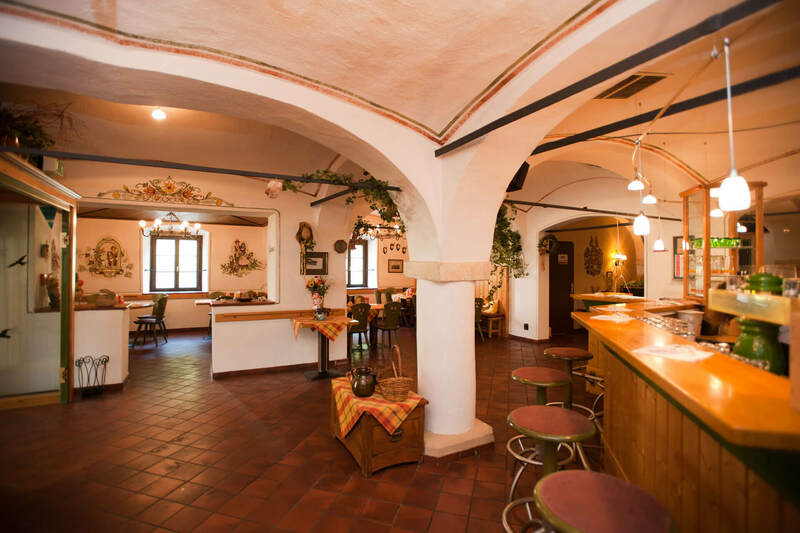 In our restaurant at Berghof we have some real culinary treats for you, from typical Carinthian cuisine to light Mediterranean meals and crisp salads. We are also happy to serve tender beef cuts from the Ossiach Tauern, grilled delicacies or pizzas straight from the wood fired oven. In low season, all meals are also available to take away and enjoy on your own pitch. For celebrations and evening events, we ask you to take a seat at our table and enjoy a dance on our cosy barn floor. The rustic wooden beams, the masonry and the brick lattice windows conjure up an incredibly cosy ambience in which we have celebrated and dined with many of our guests.